Philosophy. The Board of Directors recognizes that the use and abuse of tobacco products, alcohol and other drugs and the problems associated with such use and abuse are pervasive in our society and among youth. The Board of Directors recognizes that students need education, assistance and support to become or remain tobacco, alcohol and drug free. The Board believes that the schools, in cooperation with students, families and community agencies, have a role in assisting students to become and/or remain tobacco, alcohol and drug free. Intervention Teams. 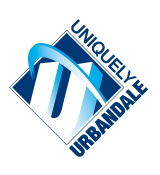 The Urbandale District shall maintain a student intervention program at the secondary school level to provide education, intervention, assistance and support for students to become and/or remain tobacco, alcohol and drug free. Building intervention teams shall be established to aid in identifying students with potential tobacco, alcohol and/or drug problems and to plan a course of action, which may include counseling and referral to other agencies. The intervention teams shall be comprised of licensed employees of the District and shall operate under the direction of the administration. Members will be selected by the administration from volunteers. Access to Records. Intervention team members shall have access to student records in accordance with policy 535 to assist them in their duties. Cooperation. The intervention teams are encouraged to cooperate with community agencies in performing their functions and to obtain training from qualified sources. Referrals. Any person may request the building intervention team to review a situation for possible identification and/or intervention. Referral by itself does not constitute an allegation that a student has a tobacco, alcohol or drug problem. An essential feature of the program is that students, family members and staff are encouraged to contact the team with the assurance that such contacts will be handled sensitively and confidentially. Participation in the program is voluntary, and at all times it is the prerogative of the student and/or family member to accept or reject referrals to counseling or to community-based services. Behavior Code. Information received from students and/or family members who voluntarily seek assistance from the District concerning the student’s use of tobacco, alcohol or controlled substances will not serve as a basis for disciplinary actions, provided the student or family member seeks assistance prior to the student being found by school or law enforcement officials to have possessed or used such substances. However, disciplinary actions may be taken if the student continues to possess or to use tobacco, alcohol or controlled substances. Further, students who participate in the intervention program shall be expected to comply with all policies, rules and regulations of the District, including the prohibition against possession, use, consumption, or distribution of tobacco products, alcohol and controlled substances.